As Brexit draws nearer, more and more people are trying to become citizens of another EU country. 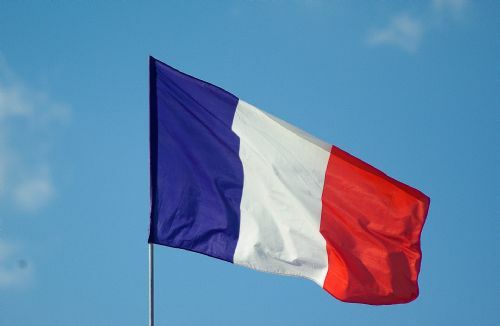 If you are a UK national married to a French national for over five years and if you can prove that you meet the French language requirements, you can apply to become a French national. Disclaimer: As I am not a specialised immigration lawyer, I cannot answer legal questions. I can, however, help you with any translation questions related to the French naturalisation process. What documents do I need to have translated for French naturalisation? You will also need to provide proof that you and your spouse have lived at the same address for the past 4 years (utility bills, bank statements, etc. ), but these documents do not need to be translated. Contact a professional translator registered with the French Consulate in London for a quote. What documents need to be legalised? According to the documentation provided by the French Consulate in London, UK birth certificates do not need to be legalised. However, if you were born or married abroad, your document will need to be legalised. For most countries, this procedure is straightforward and carried out by the country that issued your birth certificate (check if your country has ratified the Apostille Convention). If your country has not ratified the Apostille Convention, you will need to follow the legalisation process specific to your country. In the case of Canada, for example, this means that your birth certificate will need to be certified by the Minister of Foreign Affairs and then by the French Consulate in your province. If you are not sure what type of legalisation you need, you can check the rules for your country here (A= Apostille, D = exemption and L= Legalisation). All police checks must be legalised by the UK Legalisation Office. Please note that the documents must be legalised before the translation as the translator will need to see the Apostille/legalisation certificate and quote its details on the certificate of translation. Who can translate my documents for French naturalisation? Only translations performed by professional translators registered with the French Consulate in London will be accepted. You can find a list of translators here. I recommend only contacting the closest translator to you. Do I need to provide the physical document or is a scanned copy sufficient? You can physically bring the documents to the certified translator or send a clear scanned copy. You will receive a physical copy of the stamped and signed translation along with a certificate of translation listing the translator’s credentials and contact details. For handwritten documents, the translator will generally send you a PDF proof before issuing a physical copy, to check that all the proper nouns have been deciphered correctly. Will I need to provide any other documents? You will need to provide proof of your French language skills, such as a diploma issued by a French educational establishment or TCF/TEF test results. The required level is currently Level B1 of the Common European Framework of Reference for Languages. These documents do not need to be translated. If you were married previously, you will need to provide a copy of your marriage certificate and proof that you are divorced/widowed, translated into French. If you have lived in a country other than France or the UK for more than 6 months over the past ten years, you will need a police check statement from that country, translated into French. This will likely also need to be legalised by the authorities of the issuing country. For more information about applying for French nationality, please see the website of the French Consulate in London.